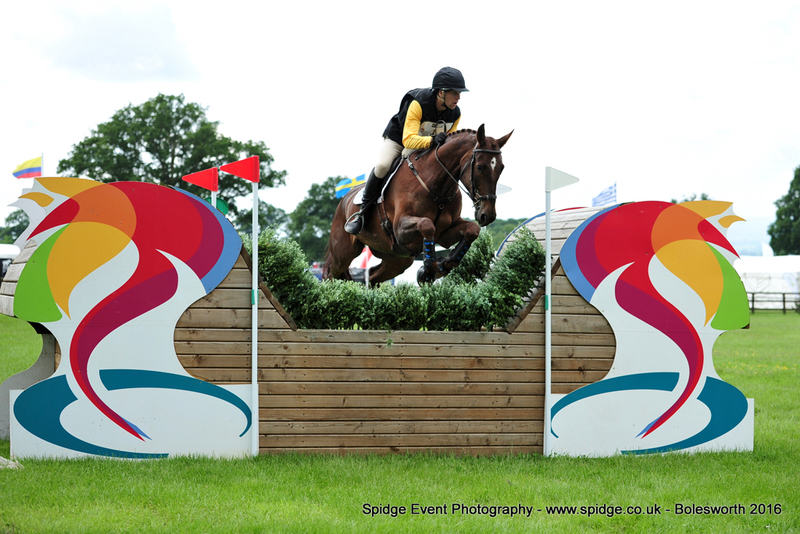 British eventer Nick Gauntlett posted a double success at the Bolesworth CSI **** International on Wednesday. And in doing so, the Gloucestershire-based rider paraded another potential star, whose sire is 2015 Badminton champion Chilli Morning. Gauntlett used to ride Chilli Morning before the horse went briefly to Mary King and then William Fox-Pitt, who guided him to Badminton glory and could be part of Great Britain’s Olympic eventing team in Rio this summer. And there was plenty to admire about Gauntlett’s home-bred stallion Party Trick as they triumphed in the four-year-old Burghley Young Event Horse qualifier. “The four and five-year-old classes are hugely important,” he said. Gauntlett also came out on top in the Express Eventing Challenge, supported by Andrews Bowen, a fast-moving arena-based version of traditional eventing that combines dressage, cross-country and showjumping. Riding Cairnside Sir Alex, Gauntlett edged Leicestershire’s Imogen Murray and Donatello into second spot, with Emma Hyslop-Webb third on Pennlands Lord Macho. “Jumping here in the main arena is brilliant,” he added. “To come to a great show like this is incredible. It’s a venue that is growing and growing in terms of prestige, and it is a show that everyone wants to be at and win at. “The dressage to music is new to me, and the judges will probably agree it’s not my forte, but we survived and had a bit of fun. And Wednesday’s two-star opener in the international arena went to Ireland’s David Simpson, riding Unex Cognac IV, with Reece Oliver and Urlanmore Aldi finishing second and Emma Stoker on Townshead Campus in third.